Our research is your technology! Our products, QTUG™ (Quantitative Timed Up and Go) and Kinesis Gait™, falls risk and gait assessment technologies have been developed through eleven years of research and extensively clinically validated through publication in top-tier international scientific journals. A summary of the research evidence base supporting our products can be found here. Kinesis products have been shown to be Valid, Reliable and Accurate in measuring Gait and Mobility, as well as assessing Falls in older adults. The technology is based on eleven years of peer reviewed research. Our technology uses advanced wearable sensors suitable for objective assessment of gait and mobility, measurement of response to rehabilitation and treatment and well as screening for falls risk, mobility impairment and frailty. Kinesis Health Technologies Ltd are a spin-out from University College Dublin and the TRIL centre, a large ageing research project funded by Intel, GE Healthcare and the Irish government. QTUG™ has been shown to be more accurate than standard measures (manually timed TUG test and Berg balance scale) in assessing risk of falling in older adults. QTUG™ has been shown to provide a robust and reliable estimate of patients' frailty state. QTUG™ has been shown to predict falls within 3 months in patients with Parkinson's disease. 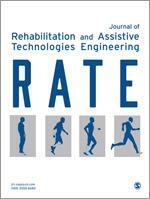 Inertial sensor algorithms contained in Kinesis Gait™ and QTUG™ have been validated against gold standards for assessment of temporal and spatial gait parameters (optical motion capture system, forceplate and GAITRite). Independent health economic evidence has shown that QTUG™ is cost-effective when used as part of a fall prevention programme. QTUG™ has been validated both prospectively and cross-sectionally, and shown to provide an accurate measure of falls risk in older adults. Mobility parameters derived using Kinesis Gait™ and QTUG™ have been shown to provide valid and reliable measurement of gait and mobility in: patients with Parkinson's disease, multiple sclerosis, older adults and healthy controls. Change in mobility parameters obtained using QTUG™ have been shown to be associated with cognitive decline in older adults. NICE, The UK National Institute of Health and Care Excellence have recently issued a briefing note on the QTUG™ technology and its utility in assessing falls risk and frailty. Click here to read the briefing note. QTUG™ used to assess a nursing home based fall prevention exercise programme - Herfordshire Care Providers Association (HCPA), Hertfordshire, UK. Use of QTUG™ in a hospital outpatient setting - St Vincents hospital, Dublin, Ireland. Use of QTUG™ in a community fall prevention service - Irishtown Primary Care Centre, Dublin, Ireland. Use of QTUG™ for risk stratification in a sheltered housing organisation - Circle housing, Kent, UK. IEEE J. Biomed Health Inform 2015. Jul;19(4):1356-61. Greene BR, Foran T, McGrath D, E.P. Doheny, Burns A. Caulfield, B.
Ni Scanaill, C., Garattini, C., Greene, B. R., & McGrath, M. J.
Marie Mc Carthy, Bill Byrom, Brenda Reginatto, Susie Donnelly, Barry R Greene, J Patrick Bewley, Willie Muehlhausen, Oisin Kearns. "The Reaches Study: Design of an Innovative Patient Centric Trial in a Novel Setting", International Conference on Frailty and Sarcopenia Research, 2017. Ruth M. Maher, Devon G. Cota, Sonal Sheth. "Determining contributing factors to outcome measure scores using triaxial wearable sensor technology in an individual using a straight cane and ankle-foot orthosis", APTA CSM 2017 Orthopaedic Section, (Abstracts OPO1–OPO24) 2017. Grace Coakley, Dara Meldrum. "Quantitative Timed Up and Go to measure falls risk and frailty levels in elderly patients post hip fracture". 64th Annual and Scientific Meeting of the Irish Gerontological Society, Kilarney Oct 2016, Age and Ageing, Volume 45 Issue suppl 2, 2016. Barry R. Greene, Denise McGrath, Brian Caulfield. "A comparison of cross-sectional and prospective algorithms for falls risk assessment". IEEE Engineering in Medicine and Biology Conference, Chicago, 2014. S. Rutledge, Barry R Greene, I. McGurgan, K. O’Connell, C. McGuigan, N. Tubridy,” Sensing the rhythm of MS, European Journal of Neurology 22(Suppl. 1):711-711, June 2015. Lorcan Walsh, Barry R. Greene, Denise McGrath, Adrian Burns, Brian Caulfield, ‘Development and Validation of a Clinic Based Balance Assessment Technology’, EMBC 2011. Emer P. Doheny, Chie Wei Fan, Timothy Foran, Barry R. Greene, Clodagh Cunningham and Rose Anne Kenny, ‘An instrumented five times sit to stand test used to examine differences between fallers and non-fallers’, EMBC 2011. Adrian Burns, Emer Doheny, Barry R. Greene, Tim Foran, Dan Leahy, Karol O'Donovan, Michael J. McGrath (SHIMMER™: ‘An Extensible Platform for Physiological Signal Capture’. EMBC 2010. Denise McGrath, Barry R. Greene, Karol O’Donovan, Brian Caulfield, ‘The use of shimmer to detect stride time in running gait. ISEA conference. Zoran Škrba, Brian O’Mullane, Barry R. Greene, Member, Cliodhna Ni Scanaill, Chie Wei Fan, Aaron Quigley, Paddy Nixon, ‘Objective real-time assessment of walking and turning in elderly adults’, Proceedings of the 31st International Conferences of the IEEE-EMBS Conference, Minneapolis, 2009. Karol J. O’Donovan, Barry R. Greene, Denise McGrath, Ross O’Neill, Adrian Burns, Brian Caulfield, ‘SHIMMER: A new tool for temporal Gait analysis’, Proceedings of the 31st International Conferences of the IEEE-EMBS Conference, Minneapolis, 2009.